SAW032130 SCOTLAND (1950). The Links, St Andrews. An oblique aerial photograph taken facing north. Title [SAW032130] The Links, St Andrews. An oblique aerial photograph taken facing north. 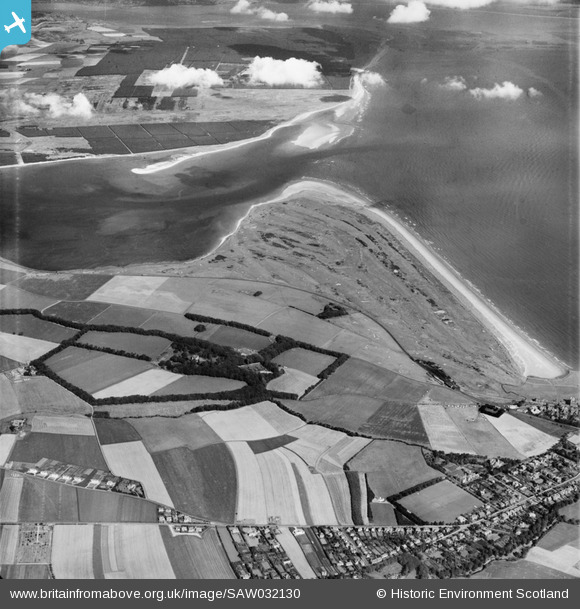 Now the site of The Old Course Hotel, Golf Resort and Spa. St. Andrews Station (goods). This was the location of the original station for St. Andrews, before the branch line was extended south to Anstruther and a passenger station was built in the town, where the present-day bus station is.